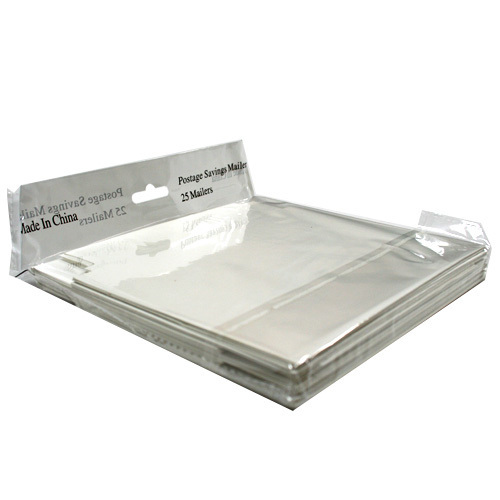 Our postage saving CD Mailers are fast becoming a popular and inexpensive industry standard. 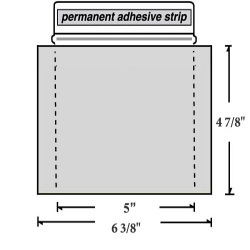 Our postage saving paperboard cd mailers weigh in under an ounce, including the CD. If you are looking to keep your mailing costs down, these are surely the postage saver you need. They protect your cd better than paper cd sleeves. A cd sleeve should be attractive. Our postage saving cd mailer is made from 100% virgin .010 sbs material. If your needs require printed cd sleeves, look no further. Our postage saver cd mailers allow for incredible print quality. Love these, as they make shipping CDs affordable! 4/5 stars because it's difficult to pull the CD out of the package. Just a note about shipping costs: "anonymous" mentioned $1.99 postage but I've been shipping hundreds of these without complaints or returns, using the .65 stamp (current rate as of Oct '12) The size still deems it a letter but since it is "rigid" there's a .20 surcharge. Quality of these envelopes is fine BUT PLEASE NOTE that they can NO LONGER BE MAILED AT REGULAR FIRST CLASS postage rate! They cost $1.99 each to mail because when a disc is inserted it makes the envelope rigid which means it cannot go through the Post Office's automated machine. If you don't pay the $1.99 and just put a first class stamp on them, sure some may go through, but others will be returned or the receipient will have to pay the difference. Worked just like it was supposed to. I used them to send out CD demos, included a small note, and it only costed 44 cents each (standard postage). Sent out 100 and none came back. Couldn't ask for more than that. Once you put a cd in these mailers the postage goes up to $.64 because it is considered a ridiged envelope. I learned this because more than half were returned by the post office. I've been using these for about a year. They are great! The DVDs fit in them perfectly, and I have even managed to mail two at a time in them (with each in zipper top-baggies), though that leaves no room for notes and requires a bit more postage. Love the price and the free shipping at this site! Will a clam shell fit in this mailer? These are great if you only want to mail out a single disc. (That and a small note are about all that will fit.) The board is sturdy, the adhesive really does the job and shipping will only cost you whatever the going rate for a single First-Class stamp happens to be. Good question. What ARE the dimensions of this product? 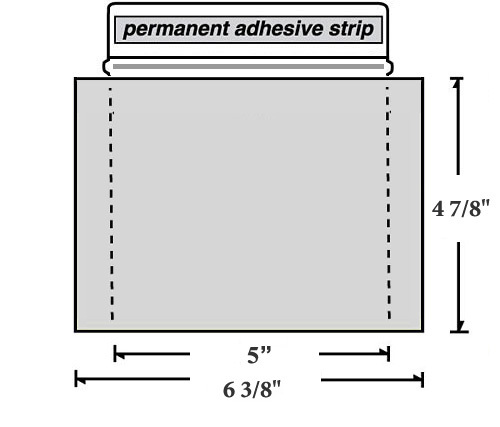 It would be so helpful to know the dimensions of this mailer before I place my order. Will someone please measure this mailer and post the dimensions? Thanks so much!! !